We’ve seen it time and time again. New devices generally have teething issues, though many of these can be patched with a software update, others have more serious hardware problems. The iPhone 4 had the infamous ‘antennagate’ issue, the HTC Sensation its own Wi-Fi deathgrip and it seems the Galaxy Nexus is now joining the ranks of not so smooth product launches. The smartphone went on sale in the UK last week, and a number of users are reporting that the phone’s volume controls behave erratically when it’s transmitting on a 2G network at GSM 900 (900Mhz). 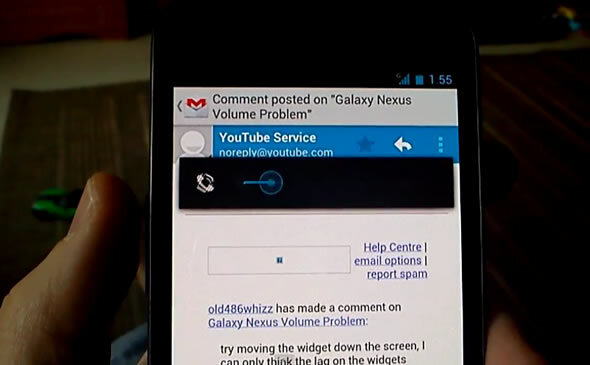 This ‘volume bug’ could be a result of radio interference on the 900Mhz band and it has been replicated by placing another phone on 2G GSM 900 next to the Galaxy Nexus. The bug is quite serious because it can mute your phone’s ringer and notifications. Most of Europe, Africa, Middle East, Australia and most of Asia use the GSM 900 band, so the number of users that could be affected is huge. Affected Galaxy Nexus devices behave normally when connected to 3G networks, so a temporary fix would be to force the phone to only connect on 3G, but that means you will be left without a signal where 3G connectivity is not available. Again, the test is performed by placing a call on 2G from another phone and inducing radio interference by putting the transmitter close to the Galaxy Nexus. This would mean that it is in fact a hardware bug, making the entire process of returning all problematic handsets especially painful for all the Galaxy Nexus owners affected. UPDATE BThe tests are showing when in 2G mode the volume is acting erratically – we at this point are putting all shipments on hold. UPDATE C Some units have already been shipped however we understand that some customers would still like to have their units shipped with this potential issue if so – please email [email protected] with your order number. Please note by doing this P&P will need to covered both ways (by customer) in the event of returns regarding the volume issue. If customers would like to wait until Samsung resolves the issue then you do not need to do anything. Update D: The stock we have is the same as other retailers (same distribution) Not all stock is effected as our initial testing confirmed. Have you received a Galaxy Nexus and is it behaving erratically? Please let us know.